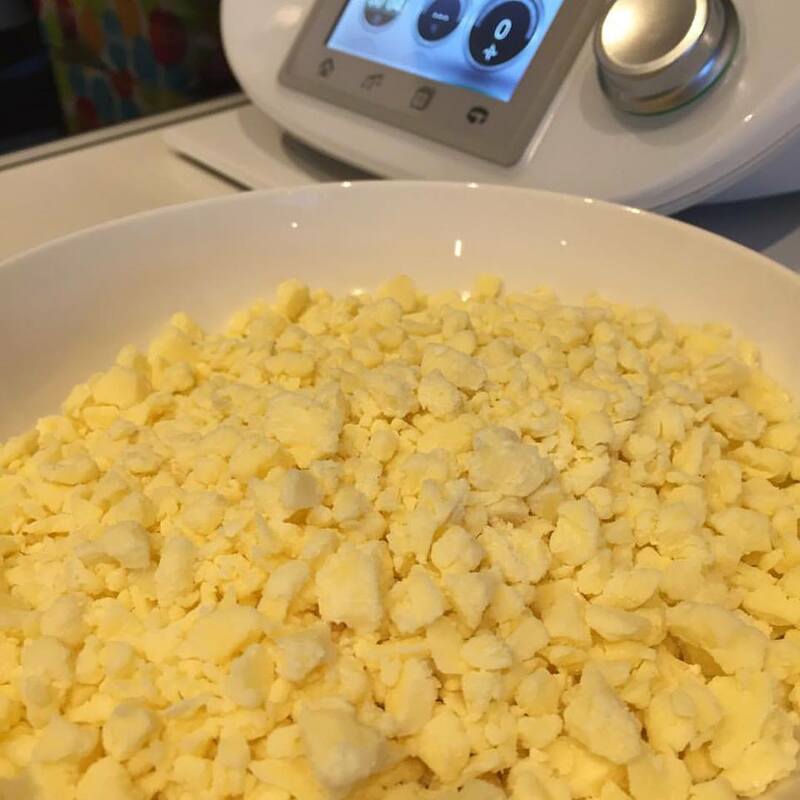 Some of my customers have asked me about grating cheese in their Thermomix, in particular cheeses like Tasty or Cheddar. They find it easy to grate hard cheese like parmesan (10 seconds/speed 10), but struggle with softer cheeses. They key is to not grate Tasty & Cheddar as long as hard cheeses, as the cheese will just clump together. 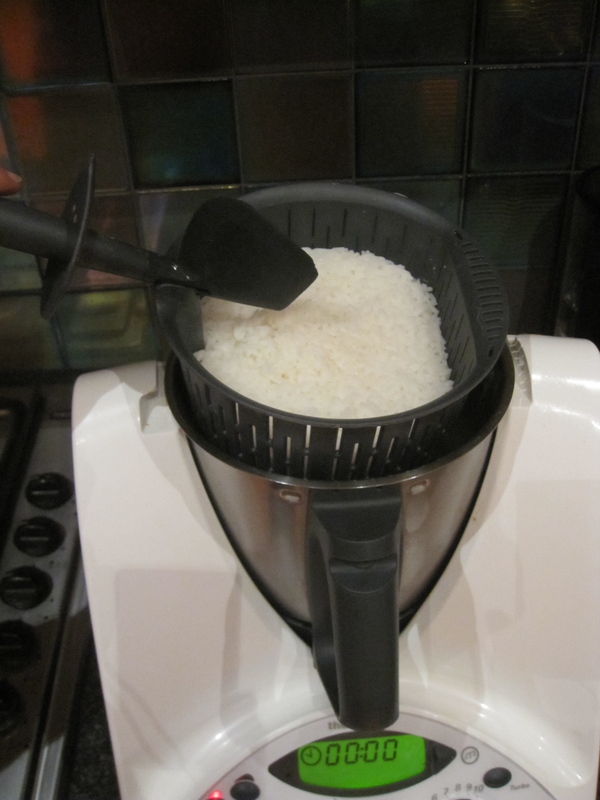 My other tip is to add some plain flour to your cheese before you grate & this will help your cheese not to clump. You can save a lot of money buying blocks of cheese & grating them yourself. A packet of pre packed grated cheese can cost around $17.50 per kilo, verses a block of cheese costing around $12.00 per kilo. If your family eats a lot of cheese, these savings are significant over a year. Not to mention avoiding additives & preservatives found in pre packaged grated cheese. These contain Cellulose, which stops the grated cheese from clumping. What many don’t know, is that Cellulose is actually powdered wood pulp! I know what I’d prefer my kids not to be eating. 1) Place cheese & flour in TM bowl. Chop 4 seconds/speed 8. 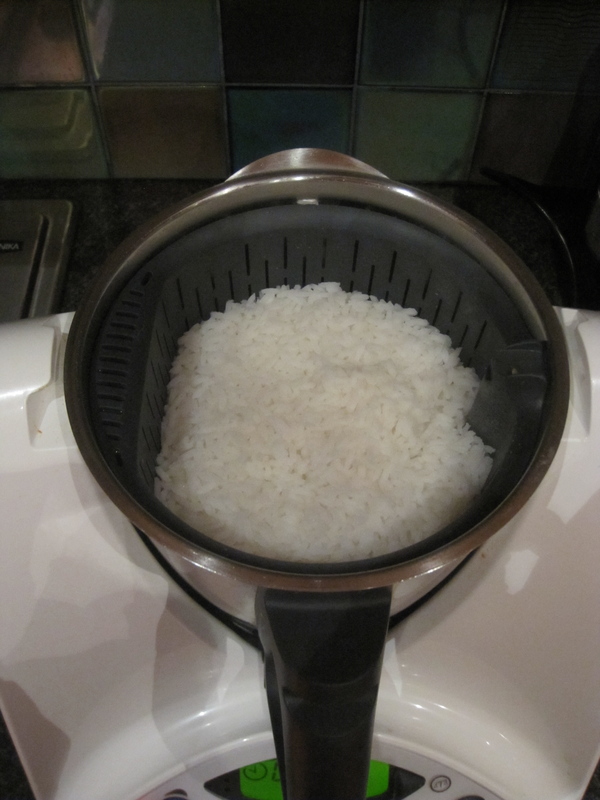 Check consistency & chop for an additional second at a time, so as not to over grate, until desired consistency reached. 2) Store in your fridge in an airtight container for up to a month, or in a zip lock bag in your freezer. If you love making pizza’s, this is a must have staple in your fridge. Spread it on pizza dough, then top with sauce & toppings. You can even just spread a teaspoon of this on the dough & top with grated cheese, for a delicious cheesy garlic pizza. If you’re just making a garlic pizza or garlic bread, no need to drizzle with oil, as there’s enough oil in the spread already. This is also wonderful to add to stir fry’s & any other dish you add garlic & oil. Once the confit cools, the garlic pieces will solidify in the oil, so make sure you give it a good mix before you use. This will keep in your fridge, in a sealed & sterilised jar for 3-6 months, making sure you always use a clean spoon in the jar. I first made this last year, after converting the recipe to Thermomix method, from Pete Evan’s Pizza Cookbook (obviously before his Paleo days)!! ‘Confit’ means cooking in fat or oil, at low temperature, for a long period of time. Cooking garlic this way, means it’s cooked slowly into a rich, succulent texture & it brings out the sweetness of the garlic. Even better, you should also avoid bad ‘garlic breath’ too! 1) Place peeled garlic in TM bowl, chop 3 seconds/speed 5. Scrape down the sides of the bowl. 2) Add oil, cook 45 minutes/95°/reverse/speed 1. 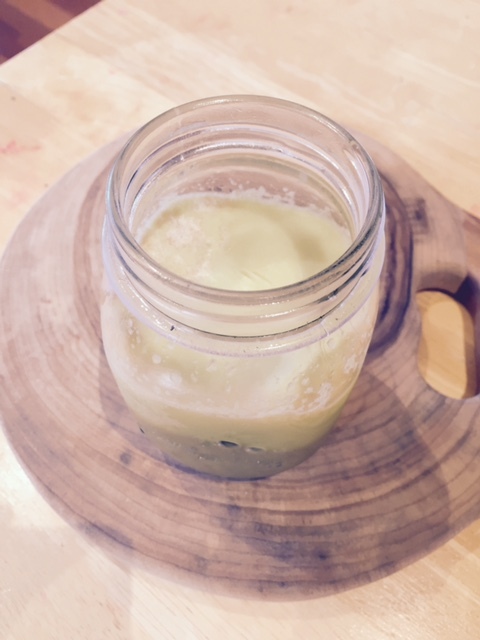 3) Carefully pour into a sterilised jar & keep in the fridge. One pizza will only need 1-2 teaspoons of mixture, spread over the base with the back of the spoon. Once the confit has cooled, the garlic will solidify in the oil. Make sure you give this a good mix before using, so you get an even amount of garlic & oil. 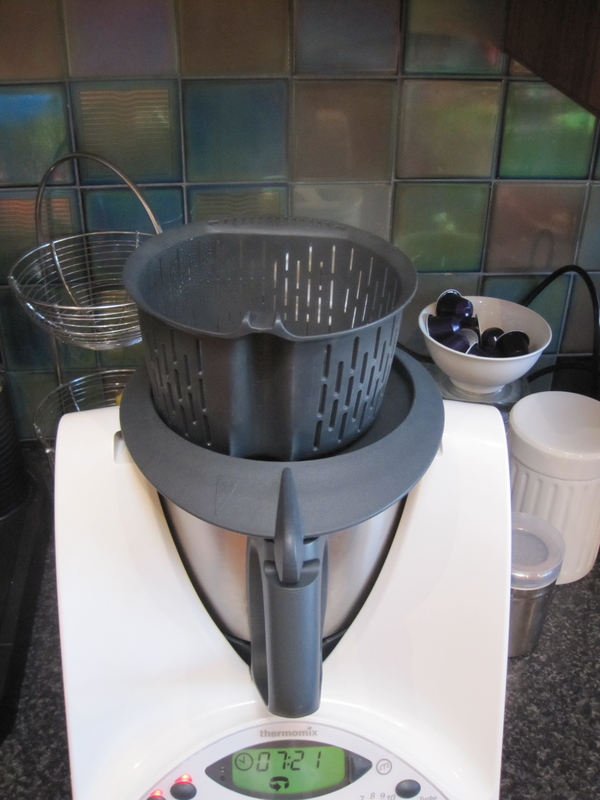 I’ve had my Thermomix for 4 years & in that time, I’ve always had vegetable stock concentrate in my fridge. I use it in everything – basically I use 1 tablespoon, instead of using bought stock or stock powder/cubes. Over time, it’s saved me a fortune on my grocery bills, but also adds incredible flavour to my cooking & of course I’m cooking with no additives or preservatives. I recently bought the Quirky Cooking cookbook & as a Thermomix consultant, have been keen to make some of her recipes to endorse at demo’s & with my customers. 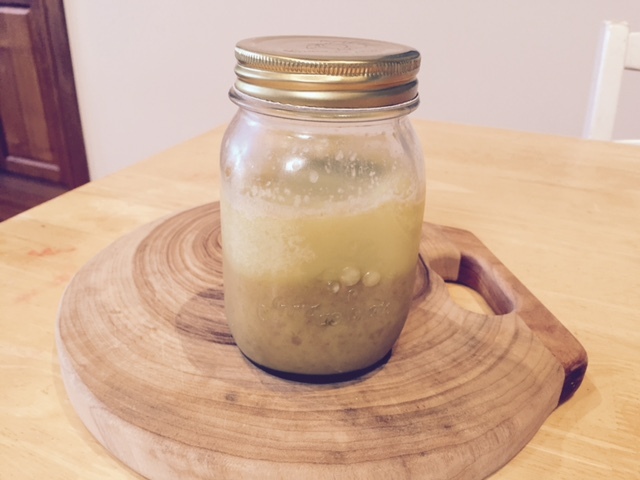 A few months ago I made Quirky’s version of Chicken Stock Paste. I’ve found it really great having both vegetable & chicken stock paste in my fridge. Although I love the vegetable stock, sometimes it’s nice to have chicken stock in some soups & dishes. This paste lasts in the fridge for up to 2 months (it’s the salt that preserves it). I usually freeze some of my stock paste for later use. Given the amount of salt in the paste, it doesn’t freeze hard, but will extend the life of your paste. 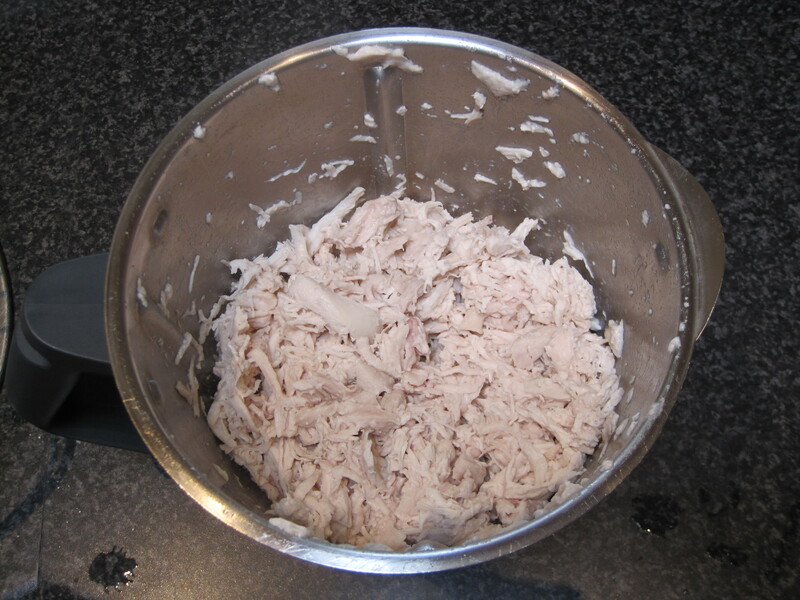 1) Place chicken into TM bowl, mince by pressing Turbo button for 1 second, 3-4 times. (Place dial in closed lid position to use Turbo). 2) Add all vegetables & spices, chop 10 seconds/speed 5. Scrape down sides of TM bowl. 3) Add wine or vinegar & salt, mix 10 seconds/speed 5. 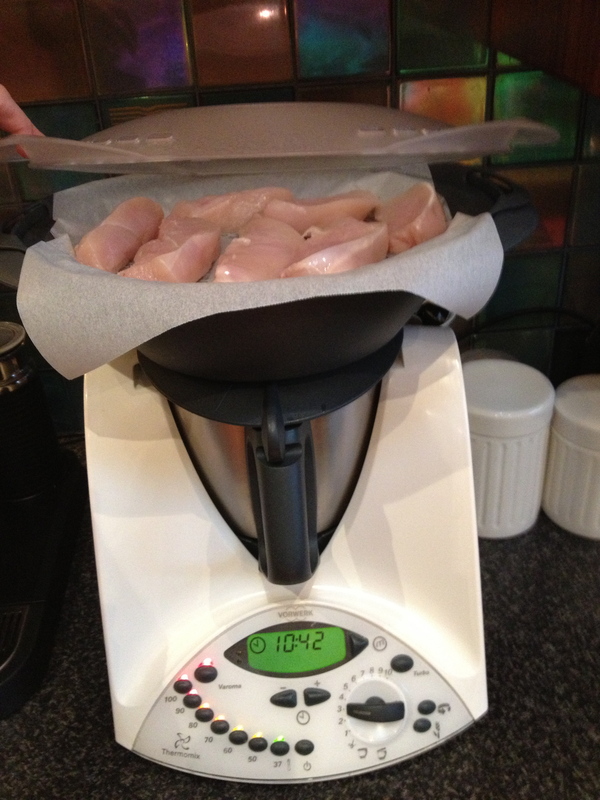 Cook 25 minutes/Varoma temperature/speed 2 – MC removed – place TM basket on top of lid. 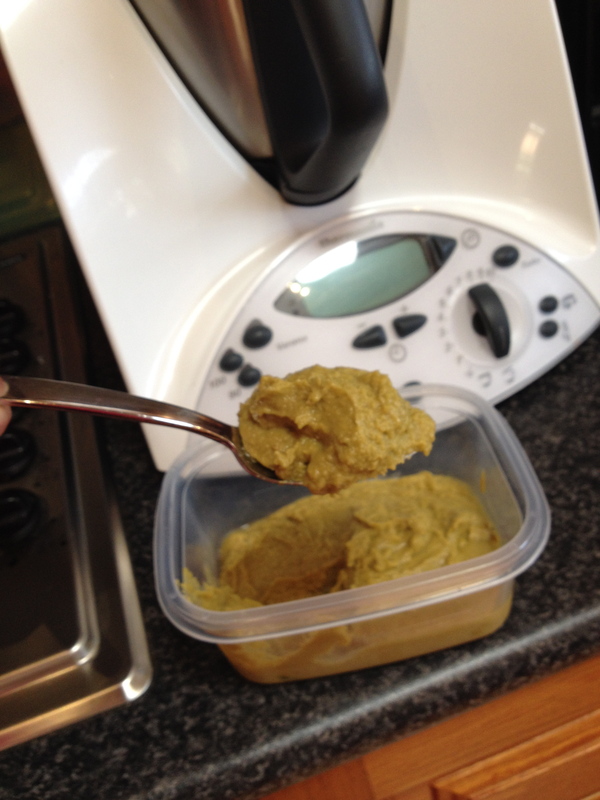 4) Puree 1 minute/speed 9, gradually increasing speed to 9. Store in the fridge for up to 2 months, or freeze in portions for later use. 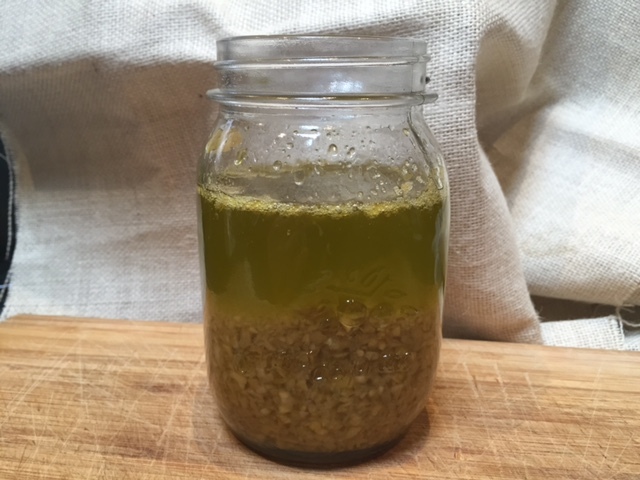 To make liquid stock, use 1 – 2 tablespoons stock paste, per litre of water.